The candidates who have appeared for the SBI PO Mains on 4th August 2018 must now be waiting for the final cut off and merit list to ensure their chances of selection for the varied probationary officer (PO) posts. The results are expected to be out by 20th August 2018; meanwhile, aspirants can look for the expected cut off for the SBI PO mains 2018 exam that is prepared based on the previous year exam trends and cut-offs. If you are searching for the SBI PO MAINs merit and Cut-off list 2018 related information, continue reading, and get aware of the expected cut-off in no time. Here is a schedule with the expected cut-off of the SBI PO MAINs 2018 examination. Note – These cut-offs are just mere assumptions, kindly do not take it as the final verdict. These assumptions are based on the factors like previous year examination, cut –off and the examination level. Here is a schedule depicting the previous year’s cut-off for the SBI Po mains which was conducted on 4th June 2017. The exam was said to be somewhat difficult for the majority of the aspirants who appeared in the examination process. 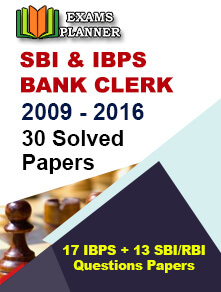 The SBI descriptive paper for PO mains is of total 50 marks with time duration of 30 minutes. 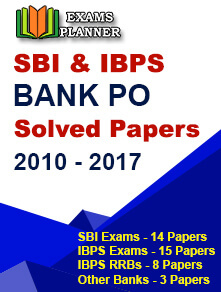 The below schedule consists of the SBI PO mains cut-off for the descriptive paper. The following schedule depicts the sectional cut-off for the SBI Po Mains 2017 exam. The aspirants who will clear the Prelims and mains of the SBI PO 2018 will be called for the further rounds of selection – Group exercises and Personal interview. The process is likely to proceed from 24th September 2018 to 12th October 2018. The aspirants need to buckle up their seats and prepare hard for the interview and group exercise round. The aspirants must focus on the following to clear the Group exercises and interview round with ease. Awareness of the Current or latest news/developments around the national or international market. Knowledge of the Issue or topic that has been going viral or is most talked about. Focus on the soft skills and the intellect as the interview jury will be judging that. At last, brew some positivity and confidence to get ahead in the race with ease. After considering the State Bank of India PO Mains 2018 marks and the collective marks of Interview and group exercises, a final merit list will be prepared with the name of the aspirants and confirmed designation with State bank of India.